Learning between the lines – Great Examples to us all! Every day our youth push themselves to succeed. They overcome challenges as a team. They learn how to lead. At Ute Conference Football, our youth who work hard know that the lessons learned on the field are lessons for life. We’re training them for tomorrow. 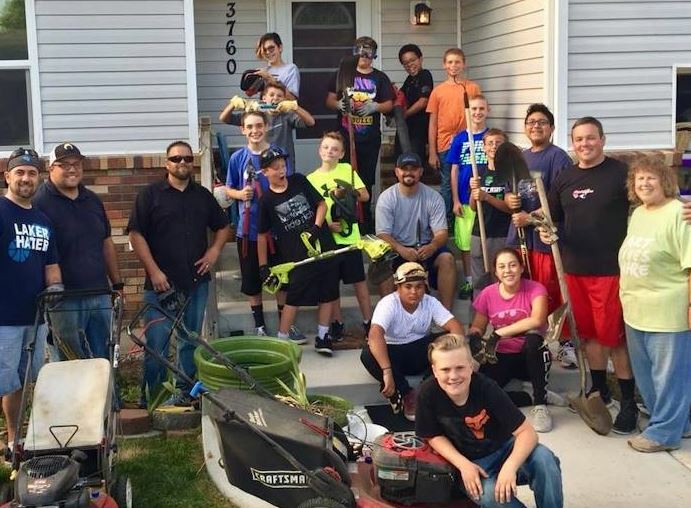 Our West Jordan Gridiron blue team joined together in helping a neighbor in need! Way to go JAGS!